Many do not realize, but multiplayer campaigns are the Holy Grail of how to keep Total War campaigns fun, fresh, and interesting after the boring plateaus of early-game snowball, predictable AI, and artificially unfair difficulty adjustments. Multiplayer campaigns can be an improved gaming experience whether you are roleplaying, challenging each other directly, or even just filling in for AI in each other’s “single-player” campaigns. It is only in the last six months that I myself have discovered this Grail, and I have been blessed with the best Total War experiences I’ve ever had just when I thought the glory days were behind me. You will learn more about, and have a higher appreciation of, Total war game mechanics and strategies by playing with other people. With another player expanding and influencing the campaign map, the power dynamics will shift in new unique ways, and all sorts of memorable landscapes will emerge. You get to experience a wide variety of authentic battles against other generals instead of a computer re-running the same scripts and calculations to (im)perfection. It gets tiring using, and battling against, the same units over and over. In a multiplayer campaign you get to try your hand at using different factions across the map. A live-human will be adapting to your tactics, and parrying with their own, so you no longer need to crank-up the battle difficulty to have a challenge or rely on un-immersive heroic victories. You can play on Normal difficulty without all the artificial player debuffs and enemy buffs, while still having a challenge due to harder battles, a late-game player threat, and someone working against you diplomatically to make sure you don’t snowball. Whether you win or lose, playing with others results in better stories and a greater sense of fulfillment. At the end of the day, our relationships with our co-stars are the most important thing in the world. Multiplayer gaming is a great way to keep in touch with friends or make new ones. But I don’t have friends to play multiplayer campaigns with! There are plenty of forums and their linked Discord channels to find gamer friends. You can also recruit your existing friends or download GameTree, an app we made for this exact purpose. It’s the best option because it considers your overall tastes, personality, and play styles when making matches, in addition to filtering options like age and location. But Total War campaigns are not balanced for multiplayer! Read on below, and they WILL be balanced for multiplayer! The commandments are derived from four veteran players playing in over twenty campaigns. Many of those campaigns were ruined due to cheese and balance issues from not following the commandments. We have iterated from the experience of our own failures, so do yourself a favor and learn from them. 1. Thou shalt not ghost upon thy enemies. Life gets busy, your mood changes, or you’re not having fun, and you don’t want to play anymore after the first session of your campaign. Don’t burn the bridge by ghosting on the other player, it’s bad karma and you may decide you want to play with them later. If it’s the player you don’t want to play with, do them the courtesy and favor of letting them know why. 2. Thou shalt conduct thyself with honor. Don’t spring an ambush from triple speed. Don’t bore your enemy to death by running out the clock. If you are considering a strategy your opponent will consider game-breaking unimmersive trolling: don’t do it. 3. Thou shalt ensure balanced start positions. Total War factions are not the same. Consider initial, expansion, and faction match-up difficulties when deciding your starting factions. Custom rules are allowable to offset the asymmetrical imbalances. 4. Thou shalt autoresolve trivial battles. If the balance of power bar is more than 70% in one side’s favor, auto-resolve it, even if it will result in your taking more losses than fighting it would. Multiplayer games are harder to coordinate by their nature, so keeping things fast will ensure progress, while also not boring your enemy with repetitive fights they are guaranteed to lose. 5. Thou shalt respect house rules. Creative Assembly focuses on the singleplayer campaign experience, so house rules are necessary to have a fun balanced multiplayer game. Honor those rules! Without them, you are less than a barbarian. The following are house rules we use in Rome 2 campaigns. Most of them can be adapted to all Total War games or otherwise serve as good inspiration for your own campaigns. We play with the Divide Et Impera [DEI] mod, the biggest mod ever made for a Total War game. We highly recommend trying it. 1. No sieging with tiny armies. It’s a cheesy unimmersive way to prevent attrition on a larger supporting army. Alternatively, it is used to halt enemy building/recruitment and lower their income. The AI/player must then attack on their turn and a swift mounted solitary general can run away then continuously re-siege. 2. Wait until Imperium 2 to initiate hostile actions against one another. This allows time to expand a little and build up your economy. Otherwise, the game can degenerate to a low-tech slug-fest with constant frustrations. 3. No allying, client stating, or otherwise baiting Rome into declaring war. Rome is the most powerful faction in the game, so getting it on your side can be more important than all the other actions you actually do. Using Rome eliminates the need for, and importance of, skill at the game when Rome can just do everything for you while spamming massive armies. Tip: Give money/gifts to big nations without any enemies to prevent your opponent from coaxing them into declaring war on you. This is a recently implemented mechanic. It is essentially a lottery bag of random rewards and punishments that has no place in a strategy game. The results can be game-breaking such as getting gifted free regions next to your enemy. 5. Three trade agreement limit per Imperium. With infinite trade agreements the whole world loves you, you get huge amounts of free trade deal income, and whoever declares war first pisses everybody else off resulting in diplomatic snowballs that can end games before wars even start. Games are more fair, balanced, and interesting by limiting trade agreements. This rule also allows landlocked factions to compete with those starting with a coastal region. 6. Autoresolve Civilized vs Uncivilized faction naval battles. A well-micromanaged civilized faction navy can unimmersively and brokenly defeat an infinite number of uncivilized faction ships due to their slow move-speed and inability to ram. 7. In forts + small towns, whoever holds the point is the defender. Running around the map indefinitely until the clock runs out for a win is bad sportsmanship. 8. No Night Commander talent. The ability for a general to isolate one force from a reinforcing one right next to it is too unimmersive and overpowered, especially for just one skill point. 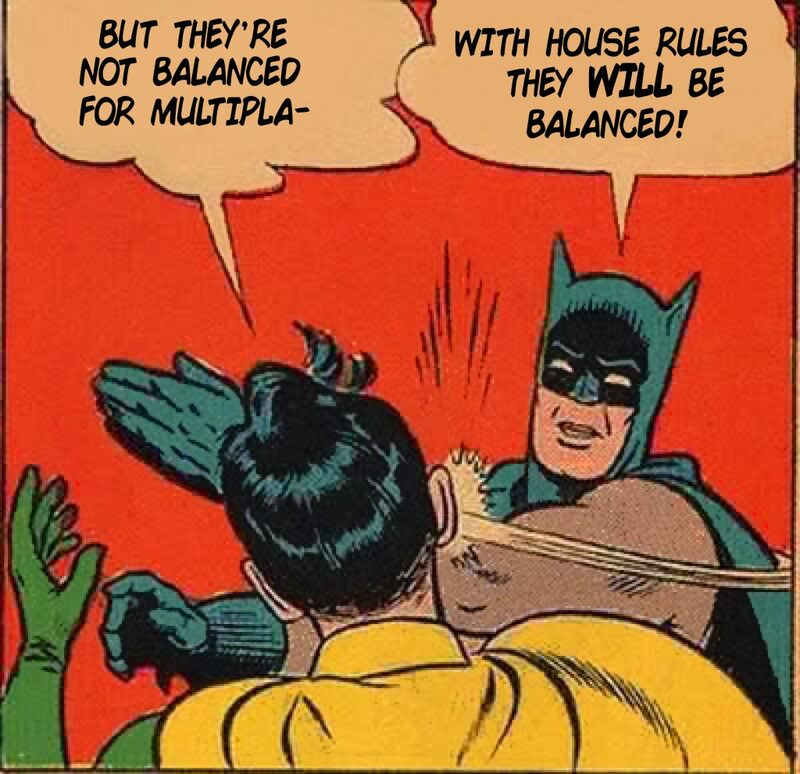 As you can see, it doesn’t take too many house rules to clean up some rough edges that can bring a multiplayer campaign from toxic to immersive and fun. Discord is a good communication app so you can chat during each other’s turns. Doing so helps with coordinating stuff, learning from each other, not getting bored, and creating friendships. I’ve spent hours talking to people out-of-game after having played with them. We hope you are inspired to up your game at Total War by playing with friends. Again, you can download GameTree to meet friends with appropriate skill level, playstyles, and timezones. If you have any good Total War house rules or cool stories, please share below; we’d love to hear them!